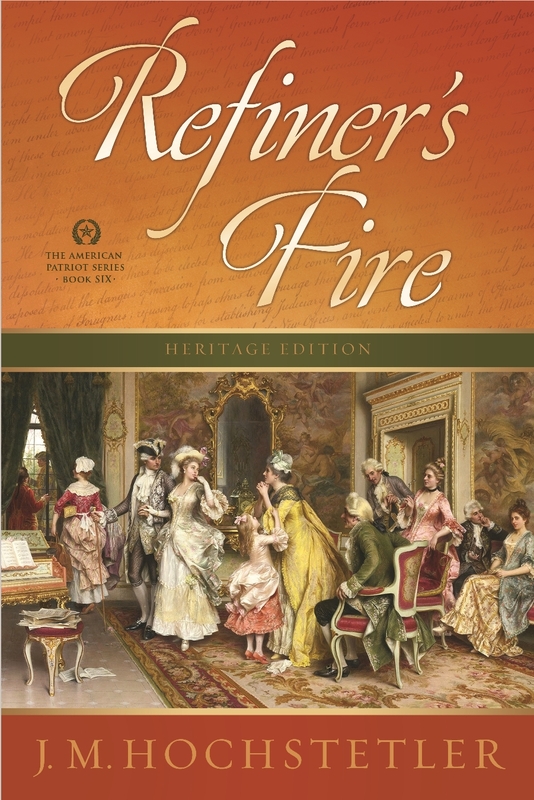 Heroes, Heroines, and History: Black Heroes of the American Revolution—and a Giveaway! 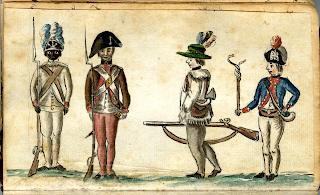 Black Heroes of the American Revolution—and a Giveaway! Black Americans served in the Revolution, as they have in every war this country has been involved in. By the beginning of the war black men already had a long history of serving in colonial militias, though they were often assigned to support duties like digging ditches. And in the spring of 1775, as opposition to Britain turned into a shooting war, a number of both slave and free black men fought bravely at Lexington and Concord. A couple of months later at the Battle of Bunker Hill, the actions of a former slave named Salem Poor were so heroic that 14 officers wrote to the Massachusetts legislature to commend him as a “brave and gallant Soldier” and recommending that he be rewarded. General George Washington, however, like other slaveholders, opposed recruiting blacks into the newly formed Continental Army, whether slave or free, fearing a slave uprising. Not long after his appointment as commander in chief, he signed an order forbidding their recruitment in spite of the valor of black soldiers like Poor. Hoping to divide the colonies on this issue, Lord Dunmore, the royal governor of Virginia, promptly offered freedom to any escaped slave who joined the British forces, and thousands of slaves grasped the opportunity. As a result Washington compromised by allowing blacks already in the army to stay but prohibiting new enlistments. But as the war continued and the need for more soldiers grew, he turned a blind eye to new enlistments, while still refusing to approve them. By the end of the war the army was actively recruiting black soldiers, and some in the New England regiments rose to the rank of colonel. Watching a review of the army at Yorktown, a French officer estimated that about a quarter of Washington’s troops were black, though today most historians believe that 10 to 15 percent is more likely. When John Glover, a prosperous businessman in the Atlantic fishing trade, became the commander of the 21st Massachusetts Regiment, he recruited experienced seamen and fishermen, many of whom had been his shipmates. Among them were many of the Indians and Blacks who lived in the New England seaport villages. Thus when the regiment became the 14th Continental Regiment, dubbed the “amphibious regiment” for these soldiers’ naval skills, it was the first fully integrated unit in the Continental Army. 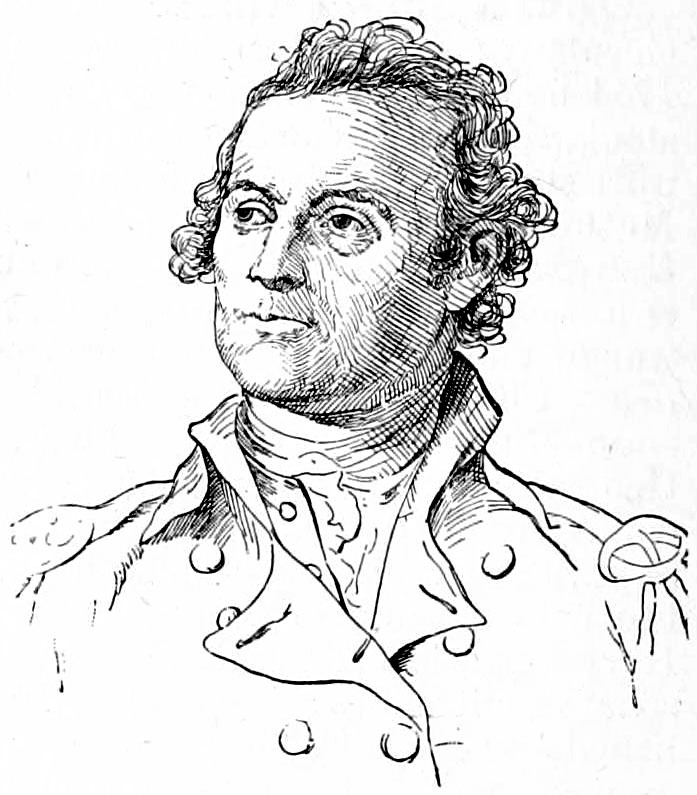 Washington came to depend heavily on Glover’s well-armed and disciplined Marbleheaders. 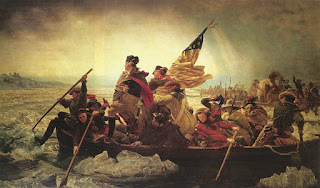 Among other noteworthy accomplishments, they made possible the army’s miraculous escape from Long Island after a disastrous defeat as well as the crossing of the Delaware on Christmas Day 1776, that led to the victory at Trenton. Speaking of which, the famous 1851 painting by Emanuel Leutze depicts a black soldier at the far side of the boat’s bow that some historians believe might represent Prince Whipple, a former slave of General William Whipple, who served in exchange for his freedom. After the battle of Princeton a week later, a free black soldier named Primus Hall reportedly tracked down and captured several British soldiers single-handedly. 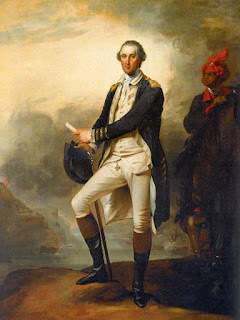 And Washington’s personal servant, Will Lee, a mulatto slave whose equestrian skills were equal to his master’s, accompanied Washington wherever he went, even in the thick of battle. He was the only one of Washington’s slaves freed outright in his will. During the terrible winter of 1777-1778 at Valley Forge, with soldiers dying of starvation and exposure and deserting in droves, Congress turned to the states to supply more troops. Faced with the reality that their required quota was higher than the number of available white men in the state, the Rhode Island legislature not only promised to free all black, mulatto, and Indian slaves who enlisted, but also offered to compensate their owners for freeing them. By now Washington was so desperate for men that he agreed to the proposal. More than 140 black men signed up for the 1st Rhode Island Regiment, better known as the “Black Regiment,” which served until British Gen. Charles Cornwallis surrendered at Yorktown. 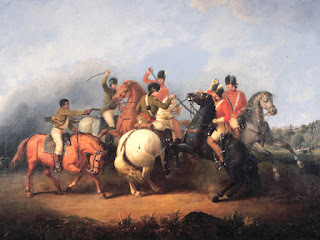 During the battle of Newport, Rhode Island, in 1778, the regiment repelled three fierce Hessian assaults, fighting so fearlessly and inflicting so many casualties on the Hessian mercenaries that one of their officers resigned his commission rather than lead his men to certain slaughter against them. Units from Connecticut and New Jersey also had high rates of black enlistment. Black soldiers served in almost every unit and every battle from Concord to Yorktown. During the Revolution the United States Army was the most integrated it would be until the Korean War. The 1st Rhode Island was the Continental Army’s only segregated unit, commanded by white officers, with white and black soldiers assigned to separate companies. Throughout the rest of the army, however, black soldiers fought, drilled, marched, ate, and slept with their white comrades and shared hardships equally. When the war ended, some black soldiers like those in the 1st Rhode Island returned to new lives as freemen. Others, however, returned to slavery. While a few were eventually freed, many who served as substitutes for their masters ended up fighting for freedom they would never receive. But all of these black heroes were forgotten over time. The new Congress passed laws forbidding blacks to serve in the military, and by the time it got around to offering pensions to the veterans of the Revolution, most of the black men who served had died. Today the heroism of black soldiers in the Revolution is finally being remembered and celebrated. These men stepped up at a time when our country desperately needed all the fighting men it could get, and they performed with heroism and honor equal to that of any white soldier for little, if any, reward. That’s why I included black soldiers in my American Patriot Series—to bring this history to the fore, along with the involvement of women and Native Americans in the Revolution. And next month I’m going to take a look at Colonel Tye, a black Loyalist partisan. 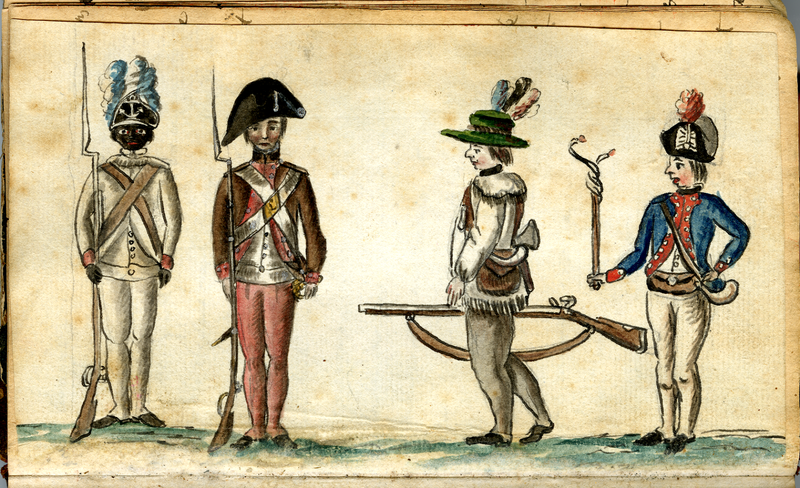 How much did you know about black soldiers in the Revolution before reading this article? Do you recall learning anything about black Revolutionary War heroes when you were in school? To celebrate the new cover for Book 6 of my American Patriot Series, one lucky winner will receive a free copy of Book 1, Daughter of Liberty—or any of the other books in the series that’s preferred! Please leave a comment on this post to be entered in the drawing, and don’t forget to include you email addy so I can contact you. I’ll announce the winner tomorrow morning, so be sure to check back to see whether you’re the one! That was my experience too, Karen, sad to say. I'm really glad that omissions like this are being corrected today. Thanks for stopping by, and I've added you to the drawing! Wow what an interesting post. My son and daughter in law reenact the Revolutionary War. I will be sending this post to them. They are huge history buffs. Thank you. This book, Daughter of Liberty sounds so interesting. Lori, it's so cool that your son and daughter-in-law are reenactors! I've joined some reenactor friends a couple of times in costume, and it was loads of fun. It really gives you a much more authentic feel for the period. You're entered in the drawing, and I'll note that you'd like Daughter of Liberty. Thank you so much for stopping by! Marilyn, it's interesting to see how attitudes changed for those who served with black comrades, including Washington's. Even though he was a slaveholder, he came to see the need for their service and to respect their abilities as soldiers through the course of the war. I'm glad you're enjoying the Northkill series! Thanks for stopping by, and good luck in the drawing! Oh, I know you're working hard! I just had to give you a hard time with it! Congratulations go to Kim Hansen, who is the winner of the drawing for one of my books! Kim, I'll be in touch with you right away. And for everyone else who entered, as the date for the release of Refiner's Fire gets closer, I'll be having more giveaways. So check in on my posts from time to time here, on Colonial Quills, and on my American Patriot Series blog for additional drawings! Your post caught my eye, as Black History is a new field of study (obsession:) for me as a history lover. I wanted to let you know about a historian, David Barton of Wallbuilders, who has delved deeply into Black History. It was through him, that my fascination for Black History started. Here are some fun facts…I’ll try to be quick:) Primus Hall (Nell, pp 29-32), whom you mentioned, had a very personal connection to George Washington, even one time sharing the same covering during the Siege of Boston, when Washington realized Hall had given up his bedding! Also, a black preacher by the name of Lemuel Haynes, pastored both black churches, and white churches… and black and white churches, with the blacks sitting with the whites! There certainly was discrimination, but people don’t realize that there were those who did not discriminate as well, especially in New England. Although, many slave-holding southerners were opposed to slavery, but it was such a part of their lives, they didn’t prioritize it as much as the northerners. Which leads me to mention that the majority of the Founding Fathers, including, Washington, Jefferson (yep, you read that right), Franklin, etc. wanted to abolish slavery in our new country. Also, Washington and Jefferson were great admirers of the brilliant Benjamin Banneker. Who caused Jefferson to wonder if blacks were smarter than whites, if they were given a chance at schooling! Wallbuilders has other materials, as well.